You are probably surprised at a second newsletter within a week. So are we. Our normal schedule is once every 6, or so, weeks. However, there were a couple of errors in the last one. (Thanks to all who pointed them out) and we as well as providing corrections we are including a couple of additional items sent in. Plus, by popular request, the return of the slide rule simulator. You can imagine the sort of conversation that lead to this experiment. We have all done it…. We have had an interesting comparison of Forth and C, I sent it to a few of the Usual Suspects and the comments were fascinating. See the Phaedsys Blog post for the full discussion of C vs Forth, C vs Ruby Vs Ada et al. It raises some thought provoking points on computer languages. Something for the family to discuss after the Christmas dinner! Does anyone remember APL and do you have a keyboard for it? The initial response from experts was, "'We've known that for years,'" and, "It's not a big deal," Hickey said. "All seven of them broke their jaw hitting the table when they said, 'You guys have known about this for years and haven't bothered to let us know because we depend on this stuff to be absolutely the bible,'"
Read it on the flight to embedded world…. You are, or should be, going to embedded world in 2018 27th Feb to 1st March In Nuremberg. 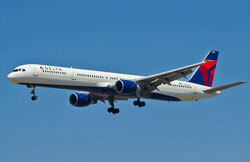 It attracts well over 30,000 people to the 1000+ exhibitors. It is the biggest event of its type in the world. 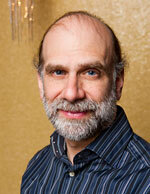 IoT Bruce Shneier the phones that bug you. If you are working in IoT, networking or with anything that is connected to something else, you do need to subscribe to Bruce's newsletter. https://www.schneier.com/crypto-gram.html"A free monthly newsletter providing summaries, analyses, insights, and commentaries on security: computer and otherwise." It says Security "computer or otherwise" but these days 95% of it has a computer in there somewhere. This is again something to ponder over Christmas. Who should have access to what? Does it matter? Do you actually know what the information is used for and, more to the point, what other information and data can "they" link it to. See the story on Uber in the same newsletter. 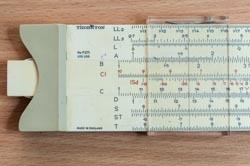 Many of you, like me, began our calculating lives using slide rules. Many probably still have one stowed away in the back of a desk drawer. Get it out, or use this virtual slide rule. It might be something to keep some of the children amused this Christmas. (after you have demonstrated it for an hour or so). Well if you had to rename months what would you do? Come to think of it: are there 12 Star Wars films? Well, that is it for 2017. Any errors or omissions will be notified in 2018 (at the end of January). In the January Newsletter we will potentially have some free money for people doing R&D! Whilst Phaedsys will be around over most of the Christmas period most of our suppliers (including tech support) have already started winding down and won't resurface until mid-January. We wish you the Season's Greetings and our best wishes for a Happy, Healthy and Prosperous New Year.